The key security concerns, China and North Korea, appear again as they did in the 2012 paper that was drafted under the Democratic Party of Japan (DPJ) government. Abe’s ‘neo-conservative’ colour is still modest at this stage, but his non-concessional posture to China is clear.The 2013 white paper increases the description of Chinese military activities around Japan and makes clear its defence preparation for them. It also announces the revision of the 2010 National Defense Program Guidelines (NDPG) and the 2013 defence budget, both which were DPJ government policies. There are three main changes in the 2013 white paper. First, it reinforces ‘the defence of territories’ as the key policy idea. In the preface, the phrase ‘to protect the lives and property of our people, and to defend our land, sea, and airspace’ appears for the first time in the subtitle of the Japanese version. Territorial defence against Chinese military activities is clearly listed as a key rationale for the revision of the 2010 NDPG and the 2013 defence budget. Threats to Japan’s territories are illustrated by increased descriptions of Chinese naval activities around the Senkaku/Diaoyu islands and by clearer references to intrusions by Chinese fighters into the airspace around the area to which the Air Self-Defense Force operates. Second, the 2013 white paper continues with Japan’s shift in defence posture to its southwestern islands in line with the 2012 paper, while explicit references to US–Japan defence cooperation for that purpose are restrained. The ‘dynamic defense force’ concept in the 2010 NDPG disappears, but the basic idea of the effective use of the Self-Defense Forces for the defence of those islands remains intact. More concrete defence plans and measures are referred to in the paper. New equipment mentioned includes: P1 aircraft; domestically developed maritime surveillance aircraft, to replace the P-3Cs; the improvement of the radar processing capability of E-767 airborne warning and control aircrafts (AWACs) and of land-based radar sites in the southwestern islands; and a sample purchase of amphibious vehicles for Japan’s off-shore island defence. The deployment of a Ground Self-Defence Force (GSDF) unit to Yonaguni island at the western edge of Japan’s southwestern islands will be implemented for information gathering, warning and surveillance in the 2013 fiscal year. The 2012 paper’s reference to US–Japan ‘dynamic defense cooperation’ disappears, but the new paper mentions the revision of the 1997 Guidelines of the US–Japan Mutual Security Treaty to meet new security contingencies around Japan. Third, Abe’s neo-conservative outlook has shaped the language on the purpose of Japan’s defence, albeit in a limited way. The defence priority is now ‘independence’ rather than ‘peace and safety’ which was stressed before. In Section 1 of the chapter of ‘The Basic Concepts of Japan’s Security and Defense Policy’, the first sentence starts with ‘[t]he independent state of a nation must be protected’. This phrase has appeared regularly since the 2009 white paper but only as a secondary phrase or sentence, now it is upfront. The previous papers began with ‘peace and safety’, which was a set phrase even under past Liberal Democratic Party (LDP) governments. Moreover, this section of the 2013 paper has less emphasis on the necessity for international cooperation for Japan’s national security, except for the US–Japan alliance. In addition, some policy ideas are outlined, such as the right of collective self-defence through US–Japan defence cooperation, preemptive attacks against North Korea’s ballistic missile sites, and the use of ‘Japanese Marines’ for off-shore island defence. The first two were originally examined under the LDP government during the 2000s but were dropped during the DPJ period. The new NDPG is reported to include the creation of an amphibious capability in the GSDF, which would require Japanese Marines. Overall, the 2013 white paper does not show a radical shift from previous papers. Aside from the neo-conservative potential of the paper which may or may not develop in the future, the 2013 white paper has a problem as Japan’s official defence document. 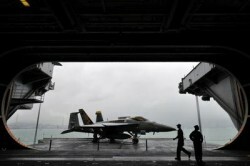 It lacks strategic perspective to deal with the tensions with China and to find a practical resolution, despite the potential danger of military escalation being highlighted. It narrowly focuses upon the linkage between Chinese military activities and Japan’s military counter-measures, paying little regard to multilateral solutions and diplomatic dialogue. Its political message to China is Japan’s counter-military preparation, which will only lead to emotional reactions from China. To the Asia Pacific region, the message is that Japan will resolve its tensions with China only through military competition, though Japanese domestic opinions may not agree. 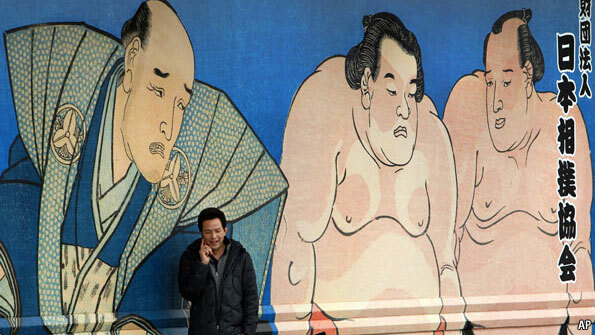 Japan should consider the political implications of its defence white papers on its external relations with neighbours. A narrow focus on China’s military activities and Japan’s counter-measures weakens the strategic role of the 2013 white paper by negating other political messages. Japan still has other policy choices in relation to China, and more than the 2013 paper suggests. Japan’s defence white papers should reflect them. Toshiya Takahashi is a PhD candidate at the National Security College, Australian National University. Every discussion about the rebalance pivoted on two concerns. First, is the United States genuinely committed to this policy and will it be sustained in the face of tight budgets and crises elsewhere in the world? Second, is the rebalance really designed to contain China and check its rise? The answer to the first is an unequivocal yes; the second, an equally strident no. In both cases, time will tell, but logic supports each answer. The rebalance reflects enduring national interests and changing geopolitics. It is an attempt to more tightly couple the United States to the most dynamic region in the world. US ties to Asia have to be maintained, a position that makes even more sense given the 200-plus years of US engagement with Asia. Meanwhile, the United States has worked with China for more than three decades, and has been instrumental in providing the capital, trade and knowhow that has enabled China’s rise. The United States seeks to cooperate with China across a range of endeavors. Its primary goal is the facilitation of Beijing’s contribution to the maintenance of global order. By no definition does hundreds of billions of dollars of investment and trade, and ongoing diplomatic and military engagement across a range of institutions and endeavors, constitute containment. The common argument that Washington’s real goal is to check China’s rise and protect its regional supremacy just doesn’t accord with reality. That judgment reflects not naive faith in benign US intentions but the content of almost every speech by US officials about the rebalance and US policy since it was first articulated, conversations with policymakers throughout the US foreign policy bureaucracy, and the implementation of that policy over the last two years. Moreover, a policy of outright confrontation would undermine US objectives by antagonising regional countries that don’t wish to be forced to choose between Beijing or Washington and by antagonising Beijing. Curiously, I heard a good counter to that thinking in Taipei, of all places. For the first time in many years, conversations there were dominated not by the military balance but the opportunities afforded by Taiwan’s energetic new economic diplomacy. Taiwanese were abuzz over the signing of a new economic partnership agreement with New Zealand, Taiwan’s first such deal with a developed economy. That pact is intended to open the door to more such agreements. Sure enough, Taipei is in the last stages of concluding a similar deal with Singapore and the government has said that it is negotiating free-trade agreements with India and Indonesia, and has started a feasibility study on a pact with the Philippines. Some dismiss the deals as window dressing, too small to make much difference. Supporters counter that their real significance is symbolic: these agreements help reintegrate Taiwan into the global economy and remind the world of its presence and potential. They help counter the view that the reunification of China and Taiwan on Chinese terms is inevitable. Indeed, as Taiwanese surveyed the cross-strait relationship, I was told that both sides believe time is on their side. That was a first. In the past, the prevailing line has been that it was only a matter of time before China swallowed Taiwan, either by force or a diplomatic and economic panda hug. Many Taiwanese now believe that they have options and that the rest of the world will see them as a distinct entity, not a mere appendage or ‘rogue province’ of China. This thinking parallels that of the US ‘rebalance’. Washington has insisted that this policy is first diplomatic, then economic and only finally military. That does not mean that the United States is merely intensifying competition with China on other levels. Rather, the United States is focusing on the ‘economic shelf’ in the toolbox of national assets. Taiwan has embraced this logic and it is showing dividends, using economic deals to create diplomatic elbow room. There is no reason the United States cannot be equally successful using economic diplomacy to exercise power and influence throughout Asia. Brad Glosserman is Executive Director of Pacific Forum CSIS, Honolulu. In 1999, after 25 years of occupation and oppression, East Timor achieved independence from Indonesia. The tiny developing nation was able to take a stand against the Indonesian forces with the support of powerful allies like the Philippines, Portugal and, most crucially, Australia. Australia was instrumental throughout the process of referendum, conflict and resurgence. It was a letter to the Indonesian government from Australian Prime Minister John Howard, which triggered a referendum for independence. It was the Australian-led peacekeeping force, INTERFET, which quelled the resulting violence and it was the Australian Electoral Commission, working with the United Nations (UN), which monitored the first East Timorese elections. Now, as the nation of Timor Leste begins to find its feet in the international community and the final stragglers of its long-standing UN Peacekeeping Mission fly away, the focus is shifting across the archipelago to West Papua. Inspired by its neighbor's success, West Papua's independence movement, OPM, has stepped up its efforts to gain allies. They have begun to campaign globally to raise awareness and to approach parliaments and the media, asking them to act on their behalf on the world stage. This time, however, Australia has remained silent and immovable, unwilling to commit to the cause. At first glance, this seems strange, as the facts of the situation in West Papua are strikingly similar to those of East Timor. It comprises half an island, populated by people culturally and ethnically distinct from the rest of Indonesia, unwillingly under their control following an undemocratic referendum, living in a military state with a culture of violence, kidnapping and torture. With widespread killings and the remnants of a government policy of transmigration, designed to displace and disenfranchise, the people and culture of West Papua are gradually being wiped out. Every nation in the region knows what is happening, and most are finally beginning to take action. 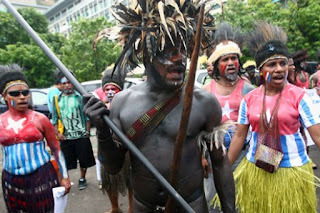 Fiji, Papua New Guinea, the Solomon Islands, and the Kanak and Socialist National Liberation Front (FLNKS) have all made plans to visit West Papua in 2013 to determine whether it is a colonized nation under the jurisdiction of the UN Decolonization Committee. The group will also consider whether to grant West Papua membership to the Melanesian Spearhead Group, a regional cooperation body which played a significant part in the independence of East Timor. Like these nations, Australia has close ties to West Papua due of its proximity, and because it administrated neighboring Papua New Guinea until 1975. Nonetheless, Australia has failed to follow the lead of the Melanesian Spearhead Group and has remained stubbornly silent on the matter. No party leader has taken a public stance and there has been minimal media attention. Most of the Australian public remains blissfully unaware that atrocities are taking place in their own backyard. When East Timor was under the control of Indonesia, there was constant media coverage and vigorous political debate in Australia, so why is it that West Papua is not afforded the same attention? The reality is, all of the unique factors which made Australia advocate for East Timor are absent in this case, and without incentives to act, Australia has stayed silent. Throughout the struggles of East Timor, the massacre of five Australian journalists at Balibo by Indonesian soldiers remained a wound in the nation’s psyche — a tragedy which galvanized the Australian press and hardened hearts against Indonesian control. Without a similar tragedy, West Papua remains a distant, impersonal conflict. Between 1975 and 2000, thousands of East Timorese refugees sought asylum in Australia, raising awareness and campaigning for independence as they built new lives and homes. At present, there are approximately 60 West Papuan refugees in Australia, as the Australian government has offered limited asylum for fear of offending Indonesia. The 2006 decision to permit 43 West Papuan refugees to seek asylum in Australia caused diplomatic furor, as Indonesia took it as an implicit criticism of their governance in West Papua. Without a strong community of activists and participants in Australia, it is more difficult for the public to connect with West Papua and to put faces and personalities to the victims of the conflict. In 1999, the Indonesian government was at its weakest, struggling after the Asian financial crisis and the dramatic fall of its long-standing leader, Suharto. When Australia took on Indonesia, it was facing a crippled nation, ill-able to afford to continue funding a military presence in East Timor or to risk regional conflict. Today, Indonesia has an economic growth rate of 6% and is predicted to become the world's fourth largest economy by 2040. With a stable government and a powerful military, it is both a valuable ally to Australia and a formidable opponent. Moreover, Australia's relationship with Indonesia is already tense, strained by the Labor government's implementation of policies hostile to Indonesia. In 2011, a controversial ban on live cattle exports soured trade relations. In 2012, the imprisonment of 180 Indonesian minors in Australian prisons sparked a transnational court case. In 2013, Prime Minister Kevin Rudd spoke carelessly of the possibility of a crisis with Indonesia, suggesting that the opposition leader would cause conflict if elected. Through two troubled terms of office, as thousands of people were oppressed, tortured and killed, Rudd and former Prime Minister Julia Gillard have been reluctant to take a stance on the issue of West Papua, or even mention the matter in public. Instead, they have relied on the position taken in the 2006 Lombok Treaty, which officially recognizes Indonesian sovereignty in West Papua. While momentum for independence increases and Australia's allies begin to take sides, even Indonesia has acknowledged that the problem is becoming an international concern. It is now time for Australia to make its position clear. Whether it reaffirms its stance in support of Indonesia or throws its weight behind West Papua depends on the results of the federal election in September. Considering the internal strife which has split the Labor Party over the past three years, it seems very possible that a Liberal government will take power at the next election. In that case, Tony Abbott, a man recruited and schooled in politics by John Howard, would step in as Australian prime minister. With Abbott in the hot seat and West Papua on the agenda, the question is, how will Howard's protégé proceed? The answer, it seems, is by protecting the domestic interests of Australia. After two terms of turmoil and diplomatic tension, the Liberal Party is planning to foster a closer political and economic relationship with Indonesia. Abbott has already confirmed that he will apologize to Indonesia for the live cattle export ban and build bridges with Jakarta on the issue of asylum seekers, which suggests the new government would adopt a policy of appeasement rather than advocacy for West Papua. If Rudd were to be elected, his policy, it seems, would be similar. Judging by the overtures made during his recent visit to Indonesia, the some-time prime minister would make an effort to undo the damage done by his predecessor to the nations' relationship. As a self-professed connoisseur of Asian diplomacy, Prime Minister Rudd would undoubtedly go to great lengths to demonstrate his loyalty to Indonesia and commitment to mutual economic growth, abandoning advocacy for West Papua in the process. This attitude was confirmed in June this year, when Rudd's foreign minister, Bob Carr, described the idea of independence for West Papua as a "cruel hoax," because he believes that the international community will never support it. It seems impossible that a government with a foreign minister who believes that West Papuan independence is a pipe dream would ever commit to the cause. Both sides' reluctance to take action on the matter is understandable. After seven years of a government focused mainly on itself, Australians are crying out for their representatives' attention. With an ever-present economic crisis and the ebbing drain of the war in Iraq, the public does not want to become involved in foreign conflicts. Instead, they want good domestic governance, and whichever party takes power will shape their policies to reflect this. Australians are not yet ready to hear the cries of the neighboring West Papuans or to take a stand against their powerful partner, Indonesia. Instead, they remain deaf and mute, a silent observer of their struggle and the atrocities it entails. However, there is still a glimmer of hope for West Papuans looking for an Australian alliance. In 1993, when Howard was first elected prime minister of Australia, he ran on a platform of appeasement of Indonesia and acceptance of their East Timorese occupation. Following a period of economic hardship and ongoing conflict in Iraq, Australians at the time wanted to look inward and avoid further conflict. Pundits predicted that the Howard government would never defy Indonesia. Six years later, Australian forces were leading the way to East Timorese independence. Now, with Howard's protégé a real contender for the leadership, we cannot help but wonder whether the story will repeat itself. A generation later, we can look back and recognize that, on occasion, the decision to fight for what is right outweighs economic considerations, outweighs diplomacy, and defies political prediction. If the East Timorese struggle for independence has taught us anything, it is that allies can emerge when least expected, and that one dedicated friend can mean the difference between fighting and freedom. The question is, will Australia ever be that friend for West Papua? Or, lacking the circumstances and impetus for change, will they stand back, as they have done for more than 50 years, and watch as the Papuan people slowly disappear? Is a Free West Papua on the Horizon? While Papua New Guinea is a sovereign nation, few realize that the western half of the world’s second largest island is Indonesian territory. This resource-rich island is one of the least publicized places on earth, a place where the fight between modernity and tradition is still being waged — and with bloody consequences. Although the island is recognized as Indonesian territory, Papuan natives are ethnically and linguistically distinctive. Native Papuans are recognized as Melanesian. Indonesians native to other islands, such as Sumatra or Java, fall instead within the Austronesian ethno-linguistic family. Despite thousands of years of regional commingling between Melanesians and Austronesians, the majority of Papua remained essentially isolated from any outside influence until the mid 20th century. Papuan nationalism began to grow during World War II, with Japan’s seizure of the island in 1942 prompting a clash involving over 80,000 allied troops. Despite nearly 300 different languages being spoken amongst West Papuans alone, Papuan tribal society developed into a unified Papuan nationalism under foreign occupations. This resulted in the majority native Papuan “New Guinea Council,” which set forth the goal of Papuan independence in 1970. This was envisioned, at the time, as independence from the Dutch. In 1945, Indonesia’s first president, Sukarno, declared Indonesian independence from Dutch rule. In seeing that Papua was an extension of the Dutch colony, Sukarno claimed Papua as part of the Indonesian nation. To forgo military engagement, the Dutch signed the New York Agreement of 1962, promising Papuans a fair referendum within six years to vote for either Papuan sovereignty or Indonesian rule. Papuan aversion to Indonesian rule was clear from the beginning, and in 1965, it manifested itself in revolts known as the “West Papuan Spring” These revolts were short-lived, as they were consistently met with brutal retaliation from the Indonesian military. Nevertheless, the Free Papua Movement was born. Why is the Free Papua Movement Relevant? Aside from mass revolt, 1965 also saw Sukarno fall to Suharto, who then viewed the protests and instability as justification to allocate voting power in Papua’s referendum to a mere 1,025 men. Declared the “Act of Free Choice,” military records account that Papuans favored Indonesian citizenship. To this day, many Papuans instead call it the “Act of No Choice” — around 1,000 were hand picked by the military to represent a population of nearly 2 million. 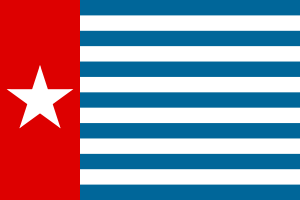 Since the “Act of Free Choice,” the Free Papua Movement has persistently engaged in actions ranging from violent guerrilla operations to peaceful protest, civil disobedience, and flying the Morning Star — the flag symbolizing a Papua free from foreign rule. Having dealt with its fair share of separatist movements, the Indonesian government often labels the Free Papua Movement’s actions as terrorist threats. Thus, action is generally met with violent Indonesian military repercussions. There are, for example, documented cases of individuals receiving ten-year jail sentences for attending a Morning Star raising ceremony. While Amnesty International, Human Rights Watch, and the United Nations have documented human rights violations in West Papua, the Indonesian government’s legal limitations on travel and persistence that the region’s dangers pose a threat to international journalists and NGOs have kept West Papua’s freedom movement out of the international media spotlight. The Free West Papua Campaign was launched in Oxford, England, in 2004 and is led by exiled West Papuan independence leader, Benny Wenda. It hopes to bring international attention to human rights violations in Papua through peaceful campaigning. These human rights violations include failures of the Indonesian government on the island to address issues such as poverty, education, health, and development. The movement hopes to one day see the Morning Star flying freely amidst the tree tops of the island. They envision a fair, transparent, and fully representative referendum — one that they believe, if acted upon, would lead to a free and independent Papua. Many Indonesians see Papua as one of their national strengths, as it legitimizes the national motto, “Unity in Diversity.” Many West Papuans, however, feel they have waited too long for freedom. A news analysis platform providing a plurality of perspectives from around the world. Join a global conversation. Your perspective matters. Indonesia: Democracy Slip Slidin’ Away? Can Vietnam be another start-up nation?